Back in 2009, before there were any hides where one could pay to capture images of kingfishers fishing, about the only way to get such an image was to find a kingfisher that was visiting a particular location, and spend lots of time there. 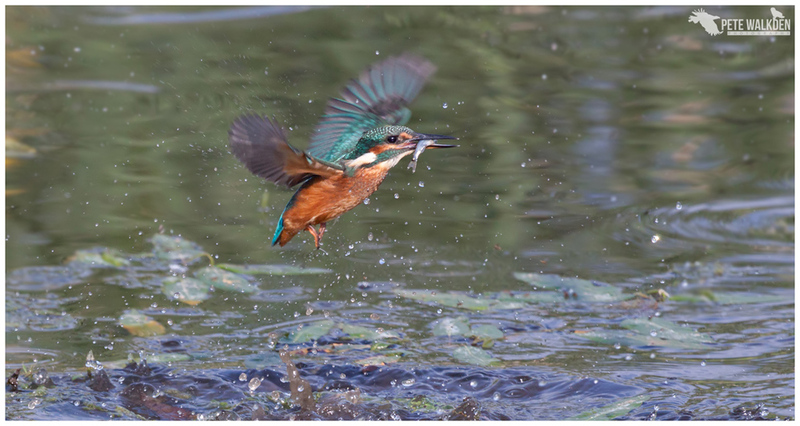 One such spot was a reserve in Worcestershire called Upton Warren, and one summer several kingfishers were being seen frequently outside the hides there. It was June and a sunny afternoon, and I had been enjoying great views of the kingfishers when they perched up, but noticed that one of them tended to dive to the same area in the water. I only had a 400mm zoom lens back then, so prefocused it on the area of water it was favouring, and waited. 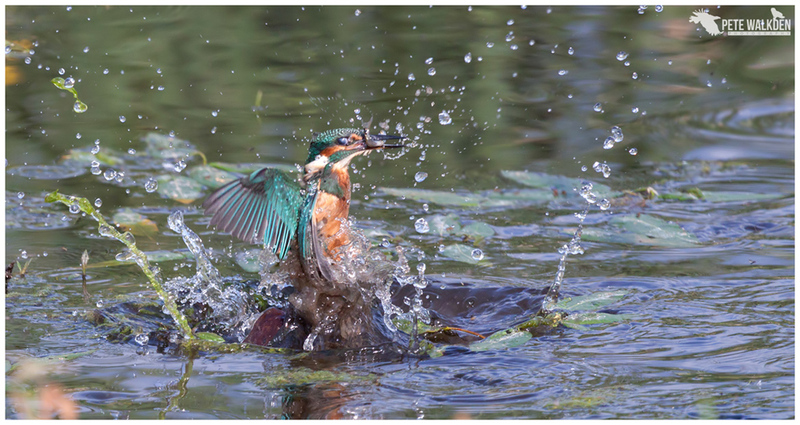 Then each time the kingfisher dived, I would blast off a few images from my camera (a Canon 50d back then). Not surprisingly, most of the shots were out of focus, but eventually I got one, and captured the kingfisher, a juvenile female, bursting from the water carrying her catch. Canon 50d 100-400mm at 400mm, ISO 640, 1/2000th, f6.3, hand-held.